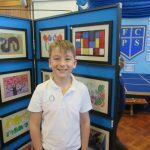 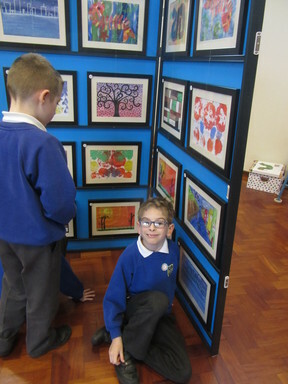 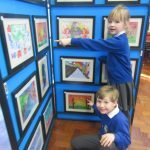 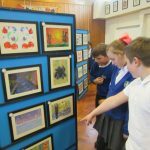 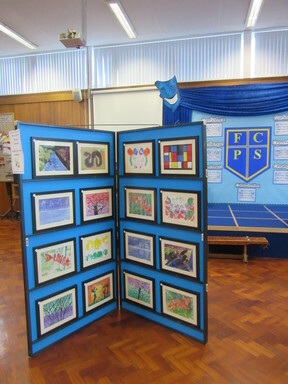 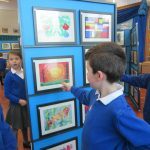 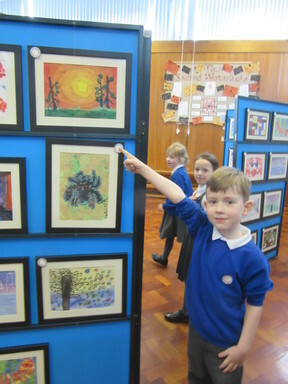 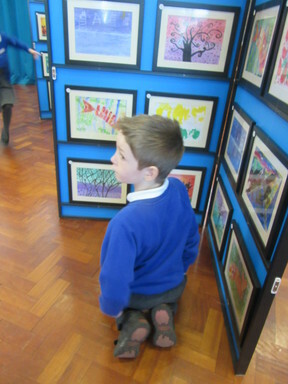 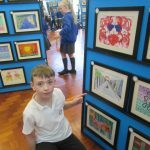 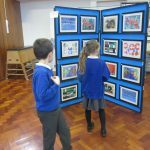 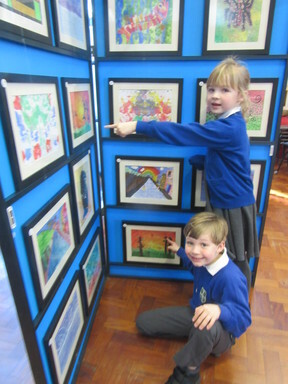 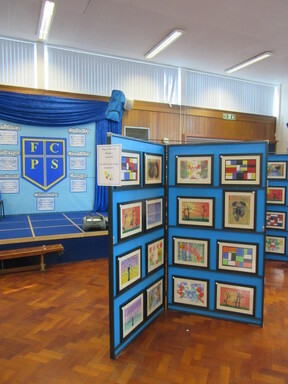 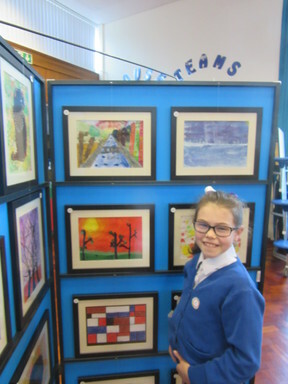 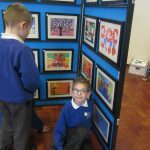 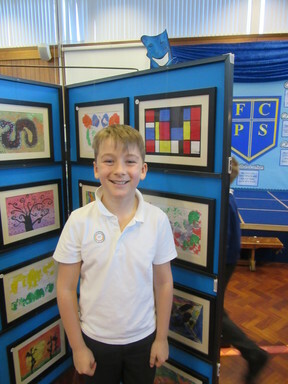 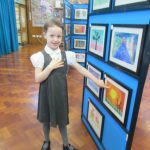 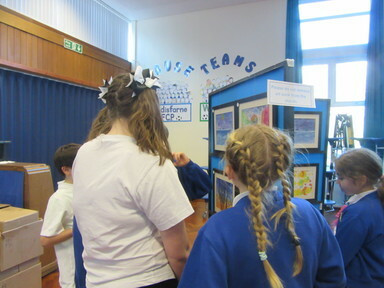 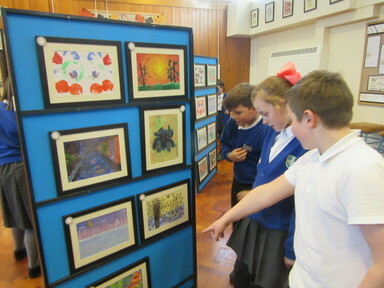 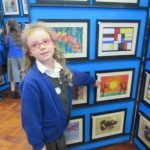 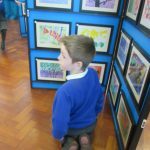 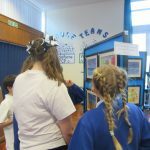 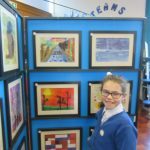 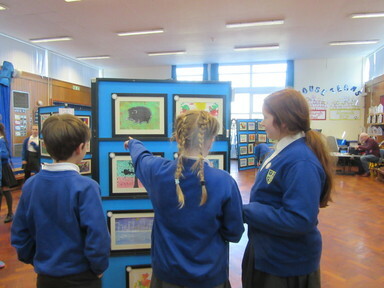 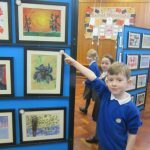 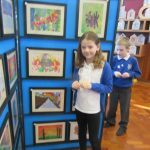 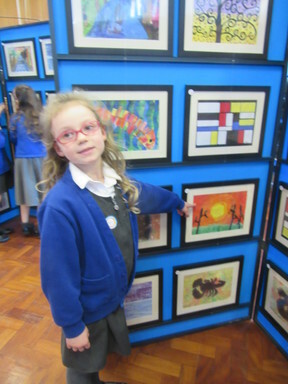 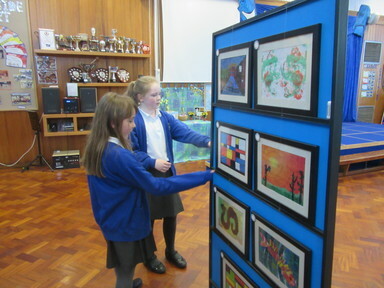 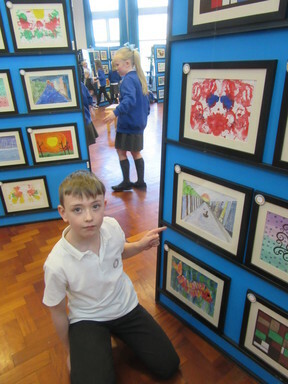 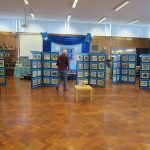 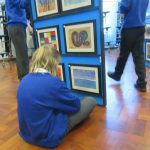 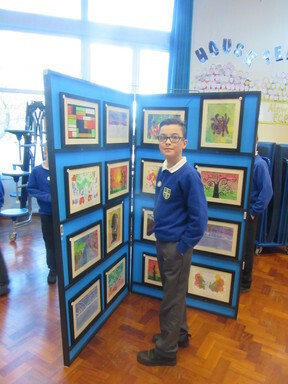 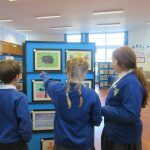 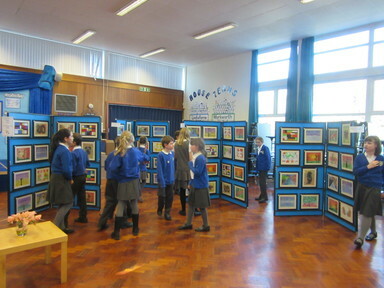 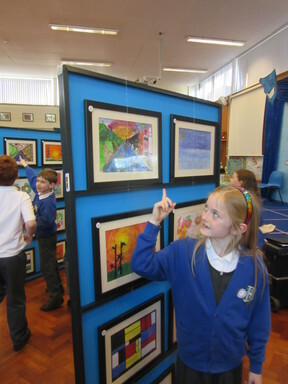 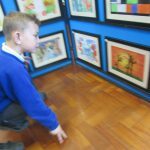 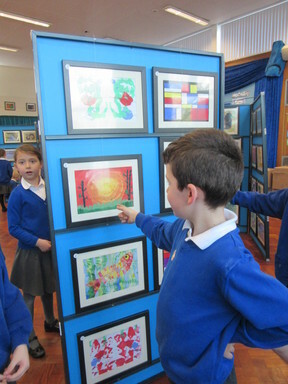 Today, doors opened for our real art exhibition, where children’s work has been mounted, framed and cataloged for parents, carers and friends to browse and purchase. 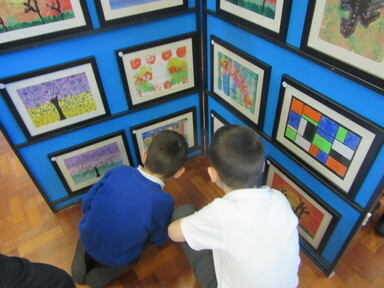 Our resident artists were, of course, the first to lay their eyes on the masterpieces and experience the pride in seeing their own work on display. 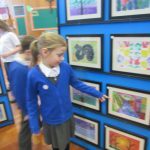 We hope that this experience will develop the children’s understanding of art in our lives as a recreational and commercial venture. 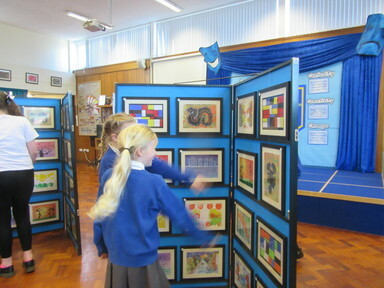 At the same time, it is supporting the school towards even higher standards in Art and Design. 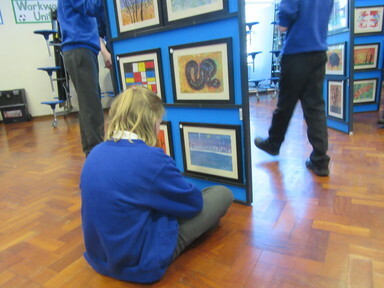 The gallery is open for one more day, Tuesday 21st March, from 3:15 to 4:00pm. 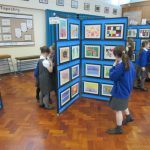 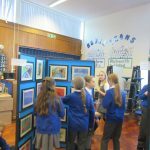 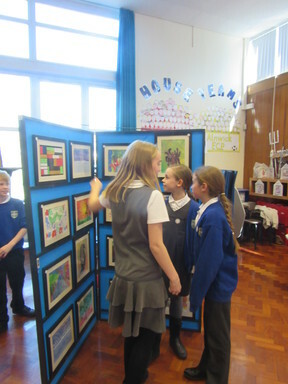 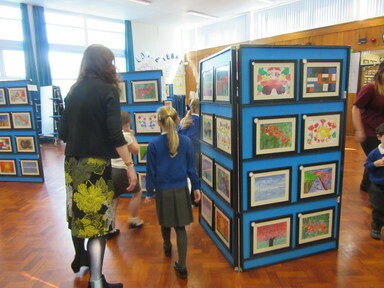 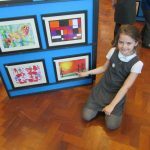 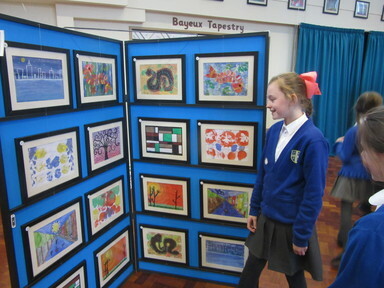 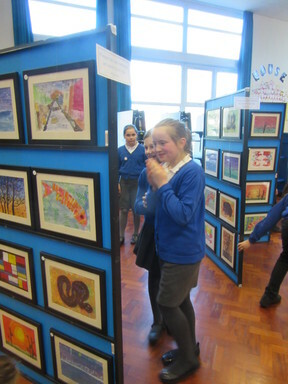 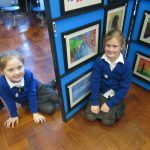 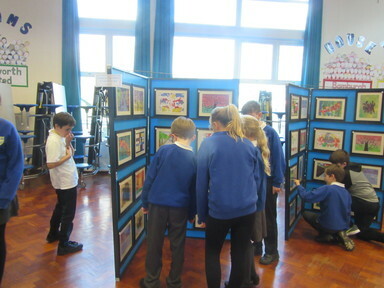 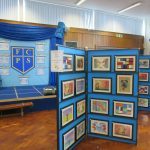 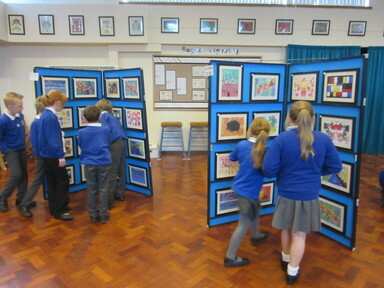 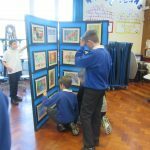 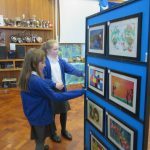 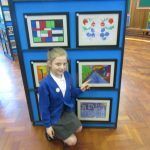 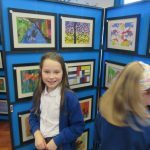 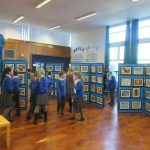 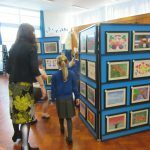 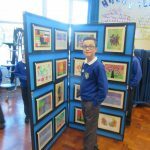 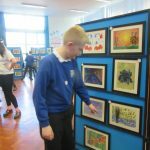 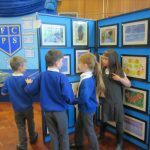 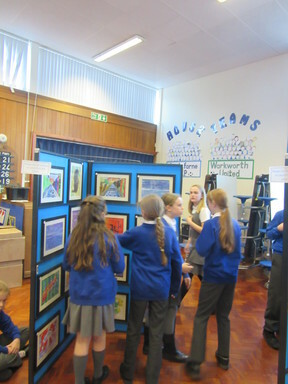 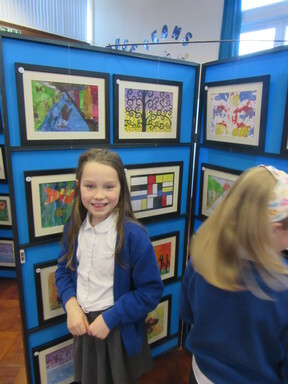 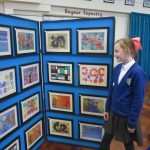 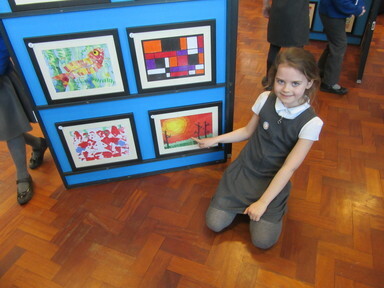 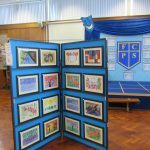 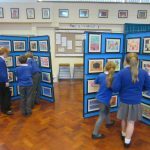 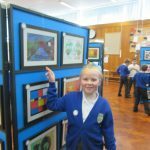 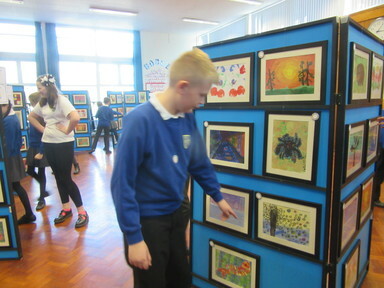 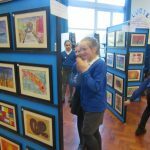 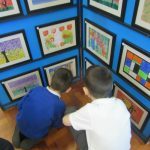 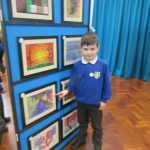 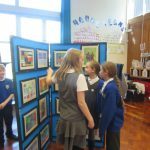 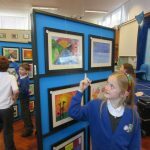 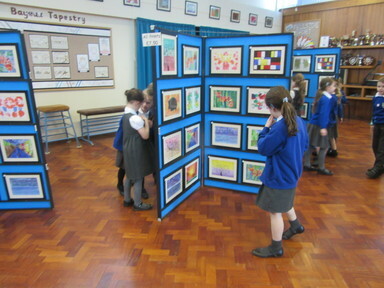 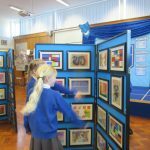 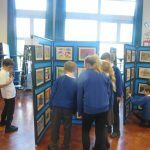 During this time you will have the opportunity to purchase your child’s work at a cost of £7.50. 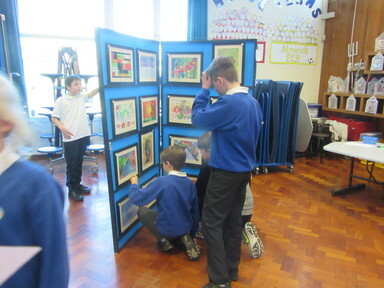 Digital reproductions can also be made if you wish to purchase multiple copies. 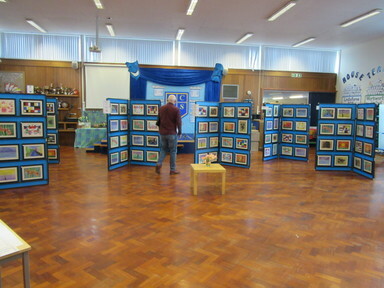 Please see Mike Shanley, who will be available at the event, for further details. 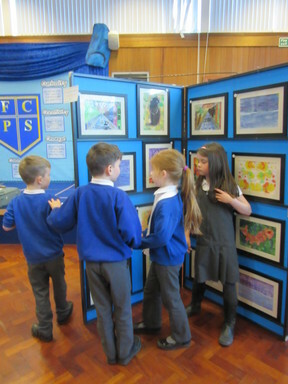 If you cannot attend but would still like to buy your child’s artwork, you will be able to do this by informing Mrs Tinson at Reception. 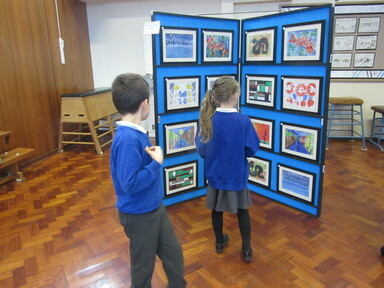 We will be storing the pieces for sale until Friday 24th of March. 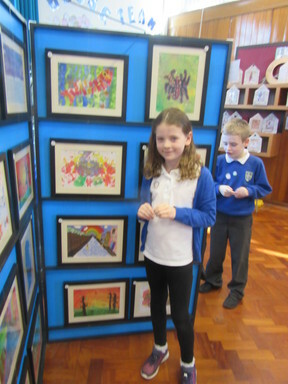 Congratulations on your amazing artwork, children. 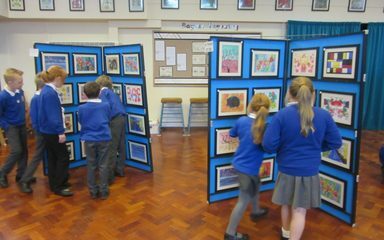 It all looked fantastically professional when it was mounted and framed. 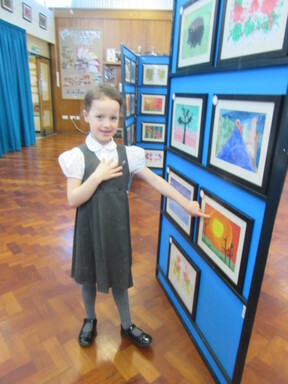 You should all be very proud! 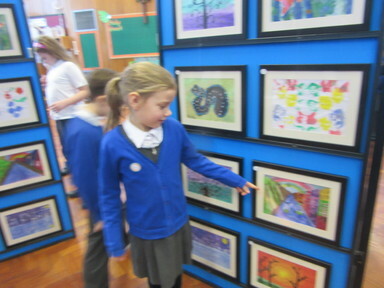 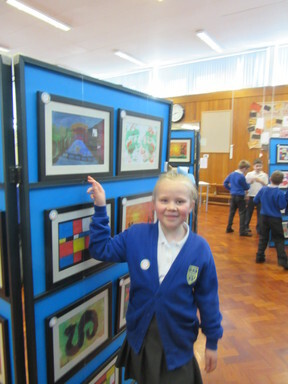 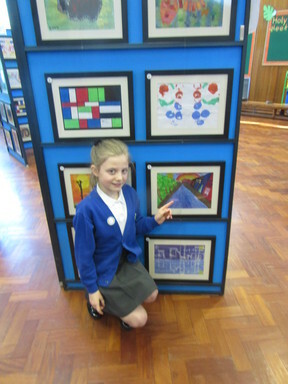 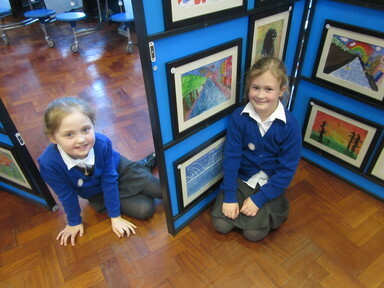 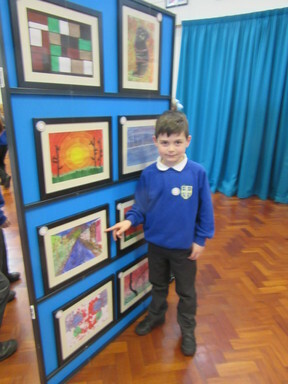 I hope you enjoyed seeing your work in our special gallery too.